As I’m from Singapore and wanted the option of working here, I had to choose a law degree that is approved and recognised for admission as a “qualified person” under the Legal Profession Act in Singapore. Sydney Law School is one of the 10 Australian universities (and one of the original few Australian universities) approved under the Act. I was also given the opportunity to go through the Combined Law program which I believe would have given me a more broad-based and holistic education (as compared to a single LLB degree). 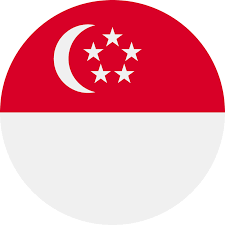 I’m currently working in Singapore but will be relocating to Hong Kong in the second half of this year. No, but I knew many friends (both local and international students) who did have part-time jobs and benefited hugely from it. It assimilated them into the workforce and work culture in Australia especially if they intended to continue working in Australia upon graduation. I knew it would be useful to get some relevant legal experience first even if I wanted to move on to a different industry in the future and applied only for legal positions. As I lived in The Women’s College on campus, the extra-curricular activities which I participated in were mainly within college and would highly recommend and encourage others, especially international students, to get involved! The preparation required whether you are an international student or not would be similar, if not the same as any other student. If however, you are planning to apply for a job abroad, I believe it would be helpful to think about a coherent and honest narrative to discuss your reasons for doing so and demonstrate your commitment to being there for more than a token period of time. Iron sharpens iron and I believe the differentiation was through being able to be constantly challenged within classes by the academic staff and peers. This pushes you to think critically, articulate your ideas and then defend them (or accept defeat) with grace. By virtue of being a student at Sydney Law School and living at The Women’s College meant that I had access to a great support network and “instant” family whatever the challenge was. I attended a number of the career fairs which included representatives from abroad. I returned to Singapore after getting Australian qualified and found a job within 3 months of admission.